The UK is where it all began for the Choose Love movement. Help Refugees started here back in 2015. Since then, we’ve become an international charity & helped almost 1 million people. We’re really proud to support some incredible NGOs in the UK, from LGBTQI+ support group Say It Loud Club, to homelessness organisations such as Shelter from the Storm, to even co-running a fund-raising restaurant with the wonderful Imad Alarnab. The UK has a proud history of welcoming refugees. In the late 1930s, we took in 10,000 Jewish child refugees fleeing from the Nazis in Europe. Fast forward to the present day, and the UK has taken in just 0.003% of the world’s refugees. Through our work with our partners, and our advocacy through our limited company, we choose to channel that proud history. We Choose Love. We’re incredibly proud to partner with the Say It Loud Club – one of the only LGBTQI+ support groups for refugees, asylum seekers and migrants in the country. They were founded in 2010 by Aloysius Ssali, a gay refugee from Uganda. 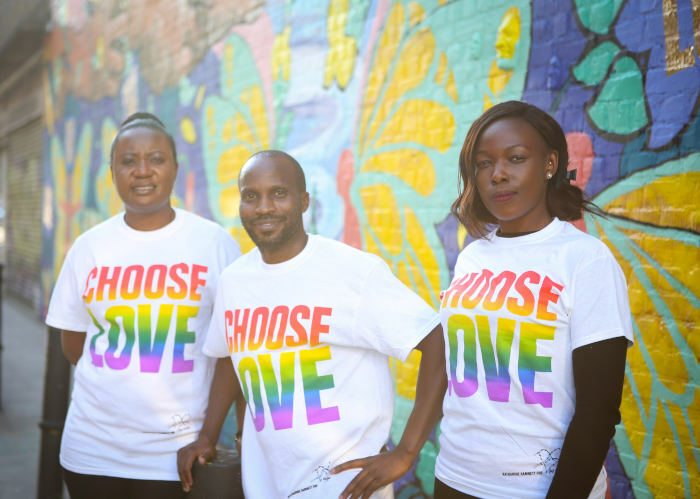 He funded the group by working as a nurse – until our Pride Choose Love t-shirts provided the funds for him to make Say It Loud his full-time job. Donate today to help us support groups like Say It Loud Club. 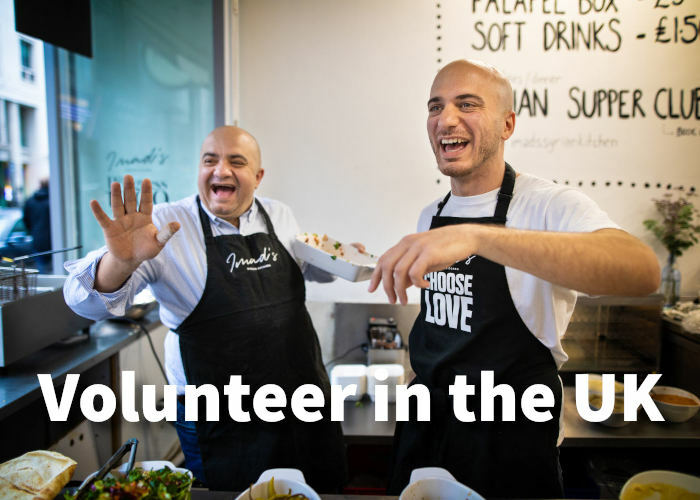 Imad’s Syrian Kitchen x Choose Love raises funds for refugees in the Middle East – and we need volunteers! If you’re based in London, and you want to help out, we’d love to have you. There are lunchtime shifts, as well as Imad’s Syrian Supper Clubs in the evening. The restaurant is just off Carnaby Street in central London.